– Always sweep or dust mop, or vacuum your oak floor daily to keep it clean and new. – Always vacuum an oak floor before washing – this removes most of the dust and grit before you start. – Clean your oak floor using a product specifically designed for its particular finish. – Don’t wet mop or use excessive water to clean your oak floor (wood naturally expands when it’s wet and can cause your floor to crack or splinter). – Do use a professional oak floor cleaner to remove occasional scuffs and heel marks (just spray some cleaner on a cloth and rub the stained area lightly). – If a deep scratch or gouge occurs, remove the affected panel and replace it with a new one. – Do minimize water exposure and wipe up spills as soon as possible, to prevent stains and warping. – Move furniture and rugs occasionally so the effect of sunlight on the oak floor is uniform. – Refinish your oak flooring when the surface is worn, split or gouge. Ask a professional to do it to make sure the installation is done properly. 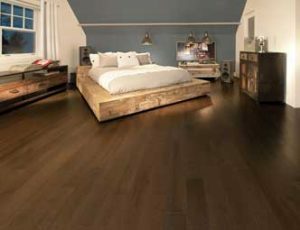 – With just a little bit of care and maintenance, the beauty and quality of an oak floor can last for a long time. 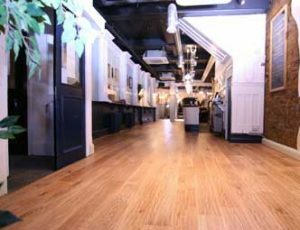 If you want to know more about oak flooring, please visit our homepage.